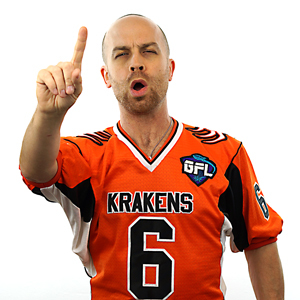 The original Krakens away jersey! The original, from when the Orangeslaught first started. This sweet orange jersey has been discontinued: there are a few smalls and mediums available, but the larger sizes are gone forever. Be the first to review “Ionath Krakens Retro Away Jersey” Click here to cancel reply.